The wide stripe on the blue breeches, the shoulder straps and the top of the fur hat were in the distinctive colour of the Cossack host - in the east, yellow for Trans-Baikal , crimson for Semirechinsk and scarlet for Siberian. Random selection of 3 figures from the 4 shown. 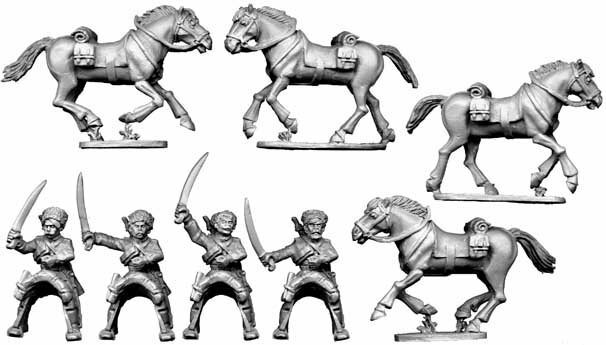 Horses supplied as random variants.